These are the very latest in holiday home accommodation featuring thoughtful design, contemporary furniture and top of the range appliances. Stylishly decorated and furnished to a good standard. 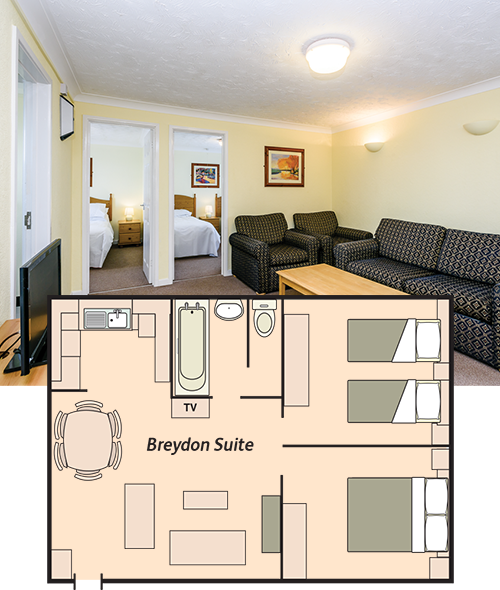 The Breydon suites are extremely well equipped. 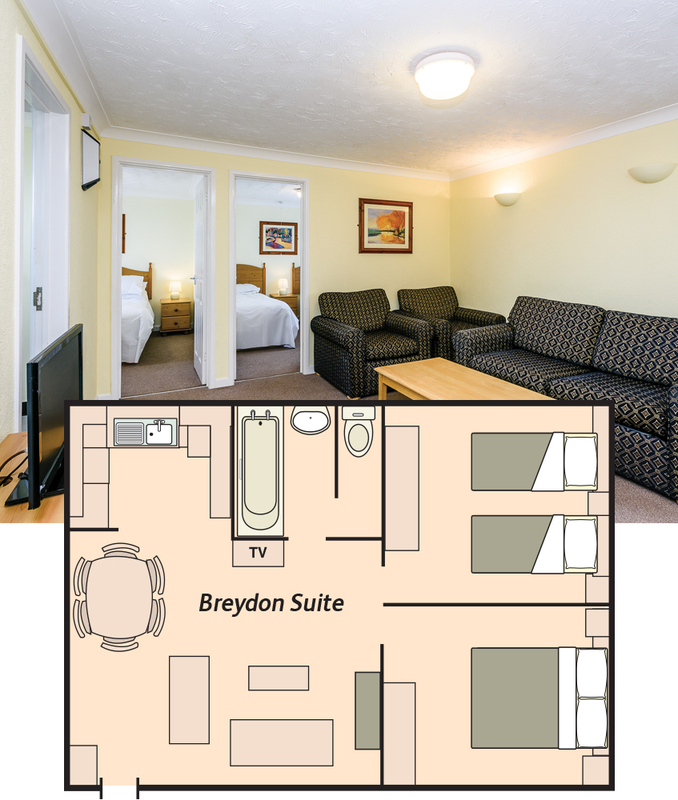 A two bedroom suite sleeping up to six, has a double bedroom, a twin room and a bed settee in the lounge. Relaxing accommodation, with a fully fitted kitchen. Furnished to a good standard and situated in their own cul-de-sac. 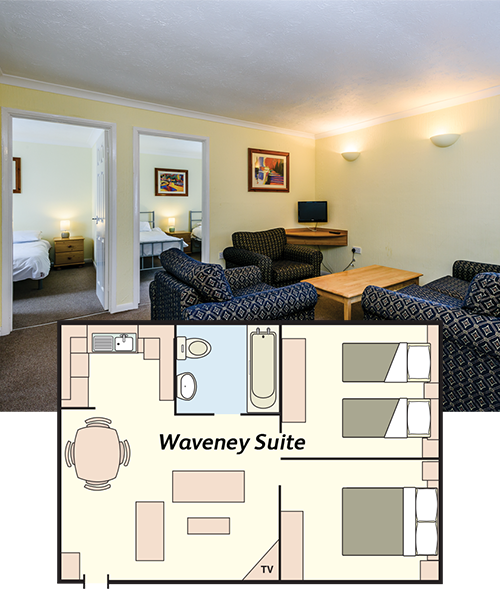 The Waveney Suites are extremely well equipped, with a double and twin bedroom, a bathroom with both bath and shower; it is a firm favourite. The kitchen has the added bonus of a fridge freezer and microwave. 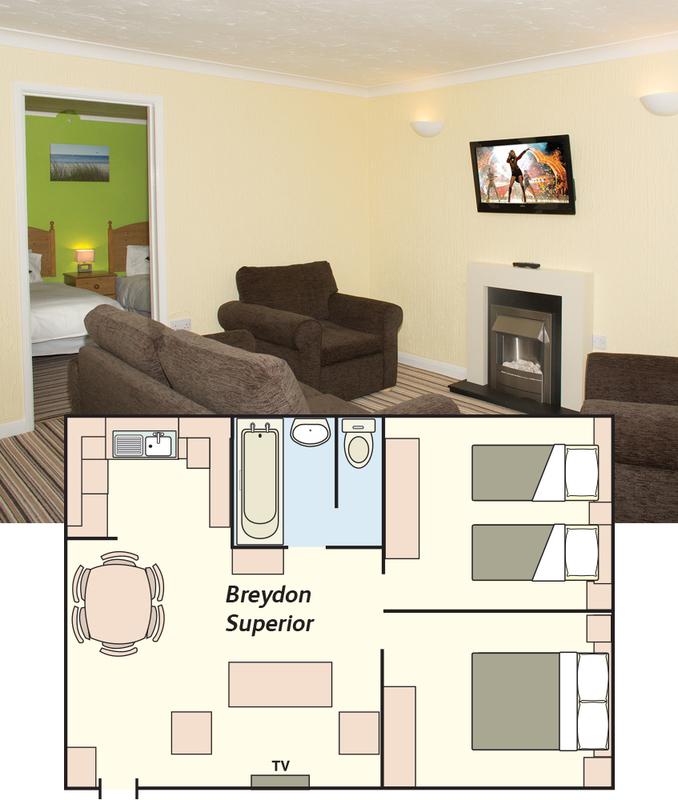 The Lounge features a flat screen TV with Freeview. 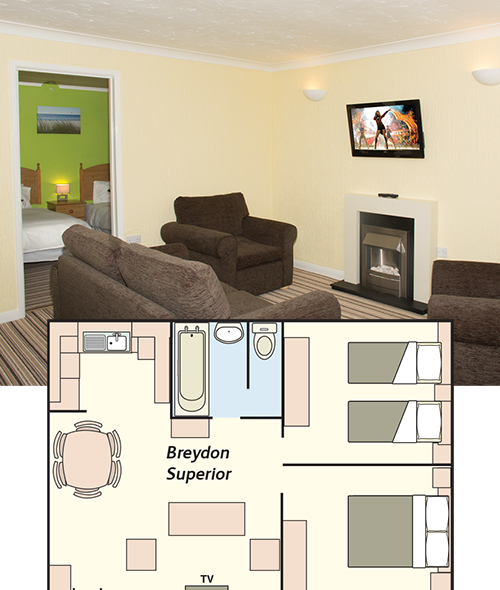 The freshly refurbished Breydon Superior Suites offer vibrant and contemporary décor throughout. Your family can relax in the spacious, open plan, fully equipped kitchen that leads into a stylish, spacious dining and lounge area, complete with a 32in TV above a flame effect fire and a double sofa pullout.A double and twin bedroom offer comfortable furnishings, whilst the modern bathroom provides a bath and shower with a heated towel rail - making this a real home from home option.